Charles Zoll won the Rapido! 2012-13 contest on January 20, 2013 in Atlanta. Twenty-one year-old Charles Zoll, the Southwest Region Finalist, is a senior at the University of Arizona. The judges were Atlanta Symphony Orchestra Music Director Robert Spano and composers Michael Gandolfi and Jennifer Higdon. Charles will expand his winning five-minute work, composed in just 14 days during June 2012, to a 15 minute composition to be premiered in Fall 2013 by Rapido’s five partner ensembles in their home cities of Boston, Chicago, Dallas and San Francisco, with the world premiere to be performed by the Atlanta Chamber Players in October 2013. Read more on the Rapido! Composition contest website. Leanna Primiani won the Western Region Semi-Final Round of the 2012 Rapido Composition Contest. Judges Sam Nichols, Laurie San Martin, and Mika Pelo were impressed by all three works by California semifinalists Durwynne Hsieh, Frank Li, and Leanna Primiani, which were premiered on the opening concert of the Left Coast Chamber Ensemble's Twentieth Anniversary Season. The winner was selected at the October 1, 2012 concert in San Francisco. Composer-conductor Leanna Primiani is a native of California. She has received a DMA in composition from USC, and has studied with such noted composers and conductors as Leonard Slatkin, Peter Eötvös, Christopher Rouse, and Howard Shore. 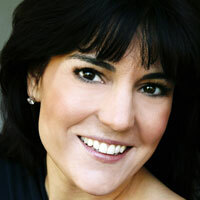 Ms. Primiani has received many awards and performances of her music throughout the United States and Europe. Premieres and commissions include the Albany Symphony and a solo percussion work for Dame Evelyn Glennie in 2013, National Flute Association commission in 2012, Sirens for Orchestra by Leonard Slatkin and the Nashville Symphony, scenes from her opera Trumanpresented at the Virginia Arts Festival, Underwood New Music Reading by the American Composers Orchestra in New York. As a conductor, Ms. Primiani currently serves as music director for the California Opera Association. She has served as Music Director for LA Opera’s Demonstration Tour of Figaro’s American Adventure, associate conductor for LA Opera’s production of Judas Maccabeus, and cover conductor for the National Symphony. Ms. Primiani is published by Subito Music and currently lives in Santa Monica California with her daughter and husband. She is an avid tennis and paddle tennis player. Durwynne Hsieh grew up in upstate New York, but for many years has lived in the San Francisco Bay Area and composed music for orchestra, chamber music, including four string quartets, and vocal music. His music has been played throughout Northern California, including commissions from the Tassajara Symphony and the West Marin Music Festival, performances at the Mendocino Music Festival and by Marin Symphony, and performances by community, school, and youth orchestras. An extensive collaboration with violinist Rick Shinozaki has produced a growing number of works, most notably a concerto for marimba, violin, and orchestra. In addition, his music has been put to other diverse uses as dance accompaniment, incidental music, wedding ceremony music, and as underscore for science audio tutorial programs. Durwynne also has a Ph.D. in molecular biology, and has worked as a college biology teacher and as a technical writer. Frank S. Li is a Chinese-American composer, conductor, and writer. He graduated with a double concentration in Music Composition and Urban Planning from the University of California, San Diego, where he studied composition primarily with Lei Liang and Philippe Manoury. He is currently pursuing an M.A. in Composition and Theory at Brandeis University. Frank's music is eclectic and still ever changing. He is currently most interested in non-traditional structures, musical patterns, and subtle gradations, but his past work has explored such varied themes as unreliable narrative, meditation, and social satire. His musical background and interests reflect his compositional work; though beginning as a classical violinist, he has since performed as an instrumentalist, vocalist, and conductor in a number of contexts ranging from drum corps to klezmer bands. As a conductor, he has worked primarily in theater (musical theater and opera). Generally agreed by others to have no knowledge of his own limits, Frank's nonmusical interests are many as well. Besides being an aspiring author interested in literary genre fiction and a certified GIS technician, he spends much of his free time working in and enjoying cartography, painting, strategy games, and graphic design. These pieces were performed by Left Coast Chamber Ensemble on September 30 & October 1 2012 at the Portraits in Sound concert. These performances were made possible through a grant from the San Francisco Friends of Chamber Music. Atlanta Chamber Players expanded the contest to include the West Coast region this year, and invited Left Coast Chamber Ensemble to join the consortium.